Duster Kendal knows something must be wrong when a tree blocks the road to the Taft Ranch. Turns out Lee Taft failed to return from his last trip into the past. Duster fears the worst, that time kicked Lee into a distant and inhospitable future with no hope of return. And no hope of rescue. A story of survival through centuries of time. USA Today bestselling writer Dean Wesley Smith takes readers once again into his fan favorite Thunder Mountain time travel series, but this time into the distant future instead of the near past. 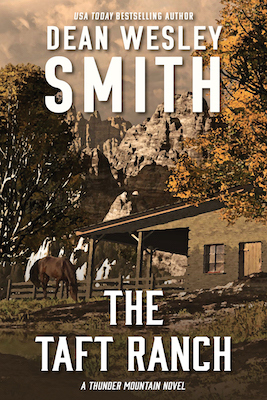 Thunder Mountain by Dean Wesley Smith is one of those reads that defies genre classification. Take some romance, throw in a little bit of historical fiction and add a dash of time travel and science fiction and you have the basis for this interesting story.